It’s the AFL Grand Final tomorrow and for the first time in their 19-year history, the Fremantle Dockers (aka Freo) are one of the contenders. Back in the day my nephew played for them, and I used to be a member and go to all the home games in Perth. 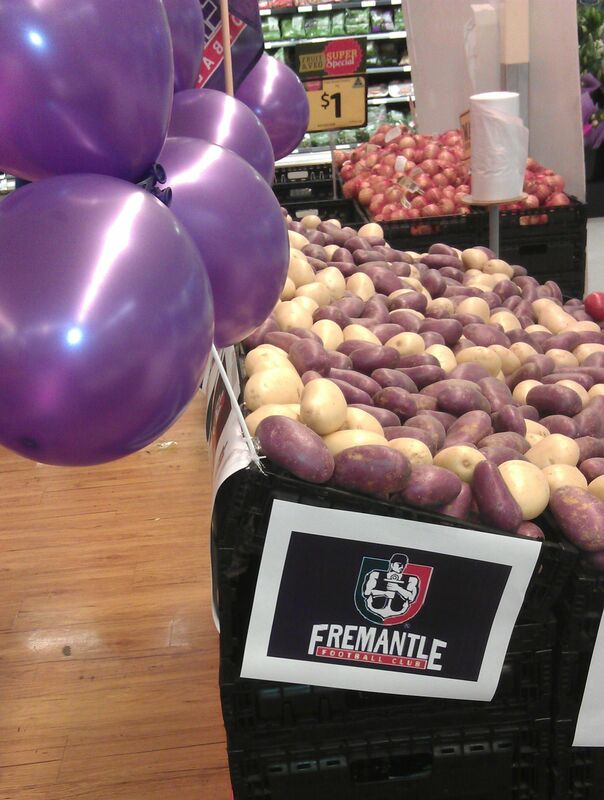 Today — Grand Final eve — I popped into town to do some shopping and pretty much every store was decorated with purple balloons etc. But two decorations took my eye. 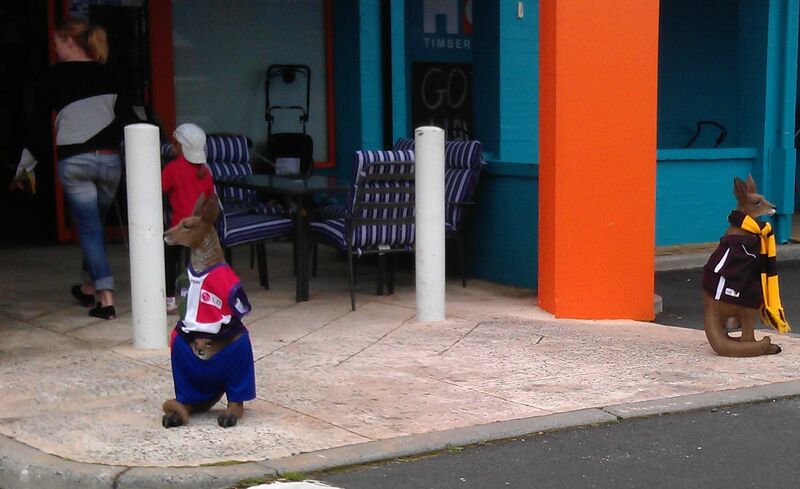 Coles had done a display of purple and cream potatoes, and the Home Hardware store had decorated two of their garden ornament kangaroos in the opposing team uniforms — there was even a gap for the joey’s head to pop out!